Now that Tucker Carlson has left the Daily Caller, I can talk $#!+ about him. Just kidding! Tucker is one of my favorite people ever. He plucked me from complete obscurity and launched me into slightly less complete obscurity. He picked me up when I fell, both figuratively and literally. For nearly seven years, he has given me an open forum to speak my mind with almost total freedom. Even when he disagreed with me. Especially when he disagreed with me. Tucker is the best boss I’ve ever had, and one of the genuinely nicest people I’ve ever met. 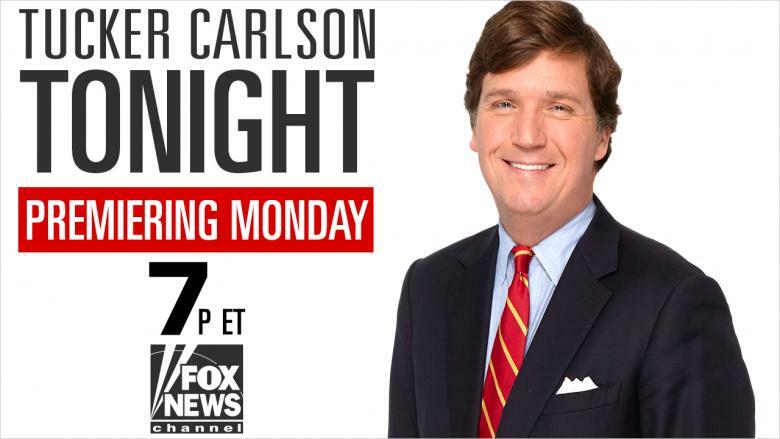 Last week he stepped down as editor in chief of the Daily Caller, and tonight he premieres his new Fox News show, Tucker Carlson Tonight. And could his timing be any better? In retrospect, it turns out that Tucker’s career has bookended that of the guy who many people see as his arch-nemesis: Jon Stewart. Back in October 2004, Stewart went on Crossfire and slammed Tucker (and co-host Paul Begala) for supposedly dumbing down our discourse. “Stop hurting America!” he cried. Crossfire was cancelled soon after, and Stewart was credited for it. For the next 12 years, Stewart ascended to liberal godhood. His every pronouncement DESTROYED their enemies. Every tap of his pen, every shrieked curse from his lips, every incredulous glare into the camera after a deceptively edited clip designed to humiliate an unbeliever: precious manna for his swooning acolytes. His disciples went forth and created their own shows, based on the Jon Stewart model: Yell, smirk, clapter, repeat. They created their own empire of snark and ruled it with an irony fist. Now they’re reaping what they’ve sown. Now they’re stumbling dazedly through the smoking ruins of the fantasy world they created for themselves. Now they’re trying to figure out what went so horribly, horribly wrong. Perfect timing, boss. Give ’em hell… with a big ol’ smile.